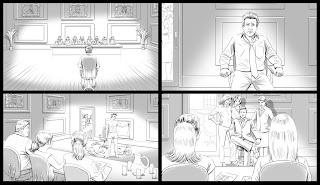 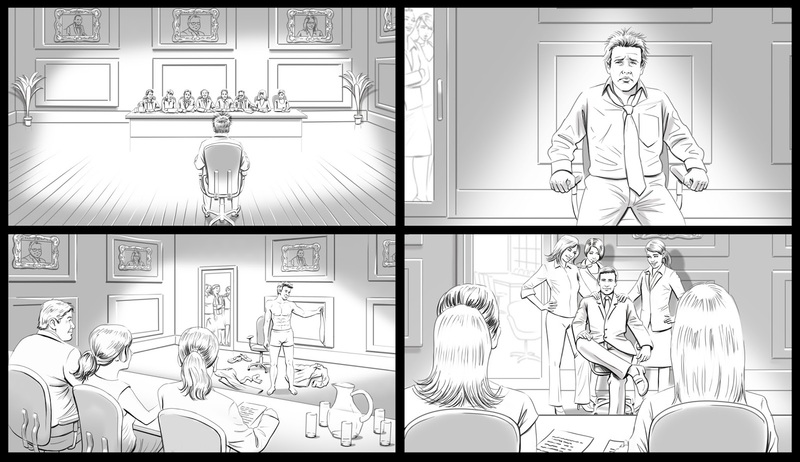 These are some B/W Storyboard key frames i did for Axe deodorant. 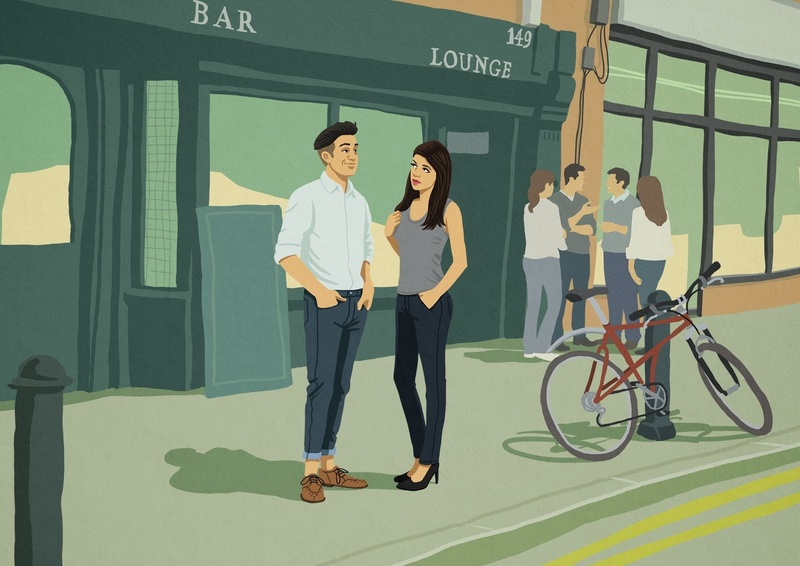 This is my latest digital painting of street scene in London. 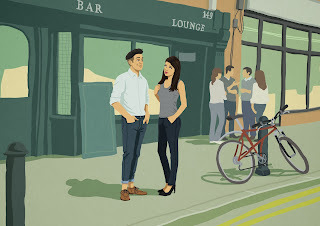 Created in Photoshop in a vector style.